Five Four Club June 2016 Review! Cost: $60/month + Free Shipping. 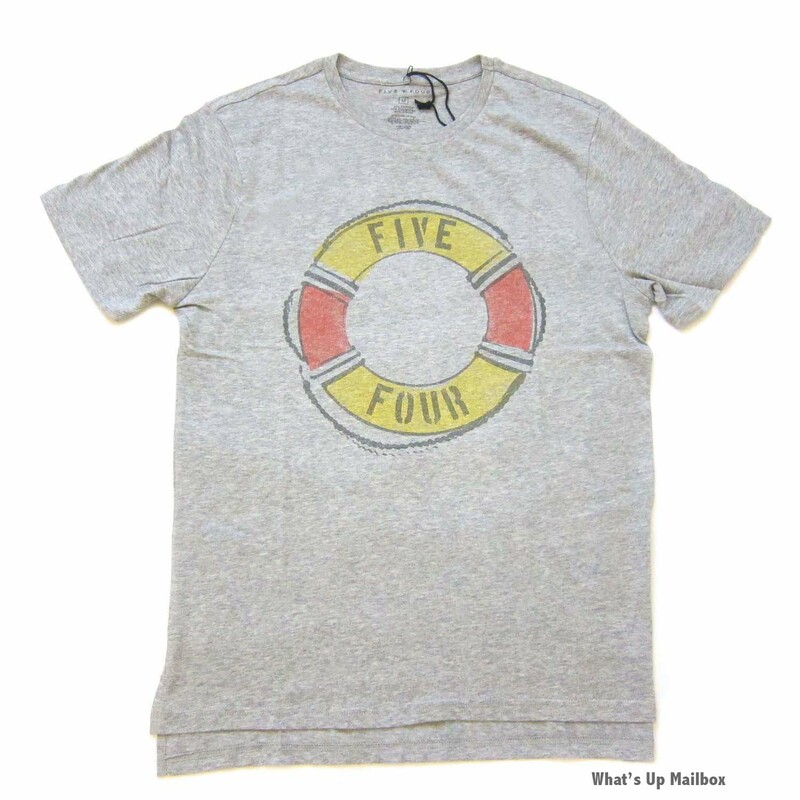 What you’ll get: Five Four Club is a monthly men’s clothing subscription. Each month you’ll receive an apparel package (2-3 items) valued at $120 or more that’s selected according to your style profile and preferences. 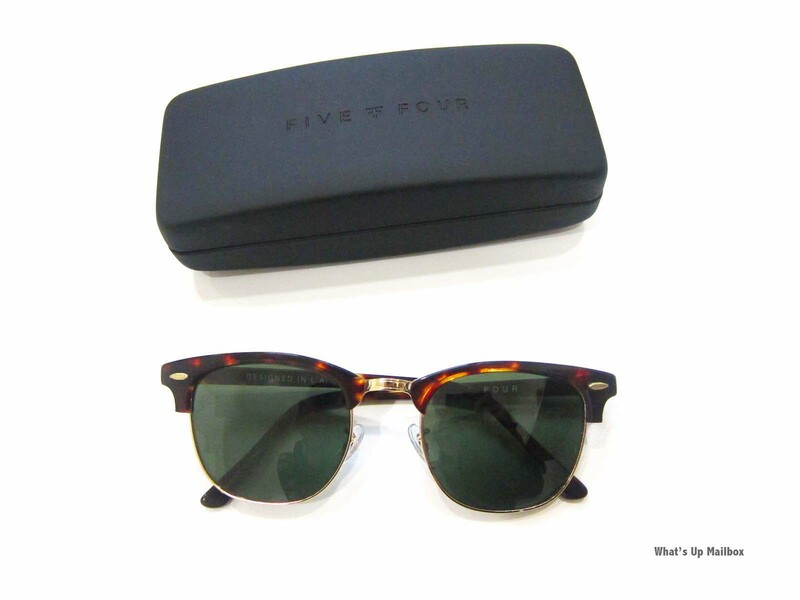 Coupon: Get $15 off your first package through this link, OR use coupon code CLUBMASTERS to get a pair of limited Five Four Clubmaster sunglasses, cleaning cloth, and hard case ($75 value) FREE in your first package! 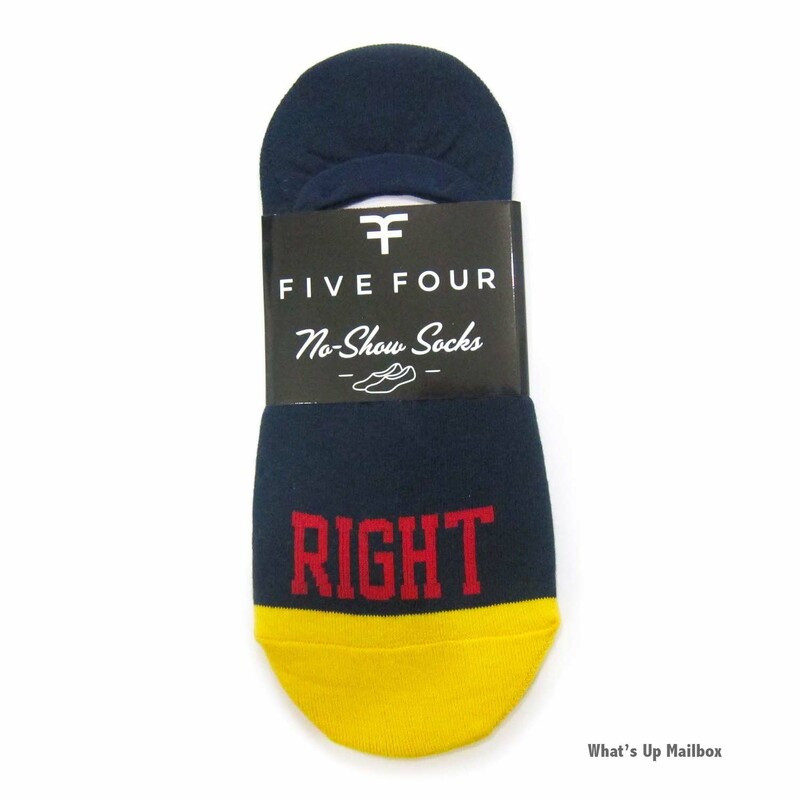 Five Four Club is a great subscription for men who don’t have time to shop or need the extra fashion help to bump up their style. I find their products to be of high quality and their style on trend. My husband loves them! When you subscribe to Five Four Club, you take a profile survey to input your size and style preferences. My husband selected “Casual” as his style with a preference in vibrant rich colors. There are 4 options in style; Classic, Casual, Fashion Forward or a Mix of all. So here’s a tip in case you’re eyeing a certain item that they released for the current or upcoming month, just message them and request it to be included in your next package! They may or may not be able to accomodate your request depending on their stock. 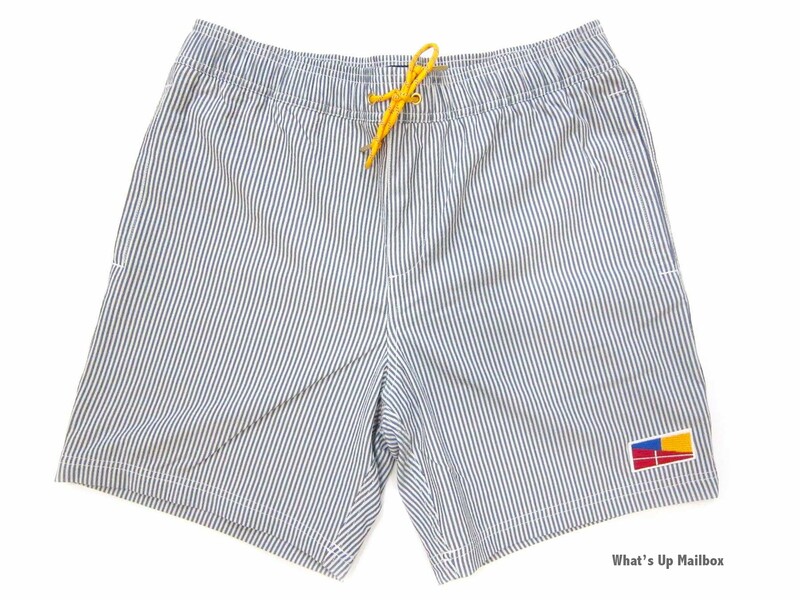 I personally saw some swimming trunks on their Instagram account and emailed them to ask if they can include one for my husband’s shipment this month and they totally delivered! So happy in getting this item! There’s a pocket in the back as well as their branding. 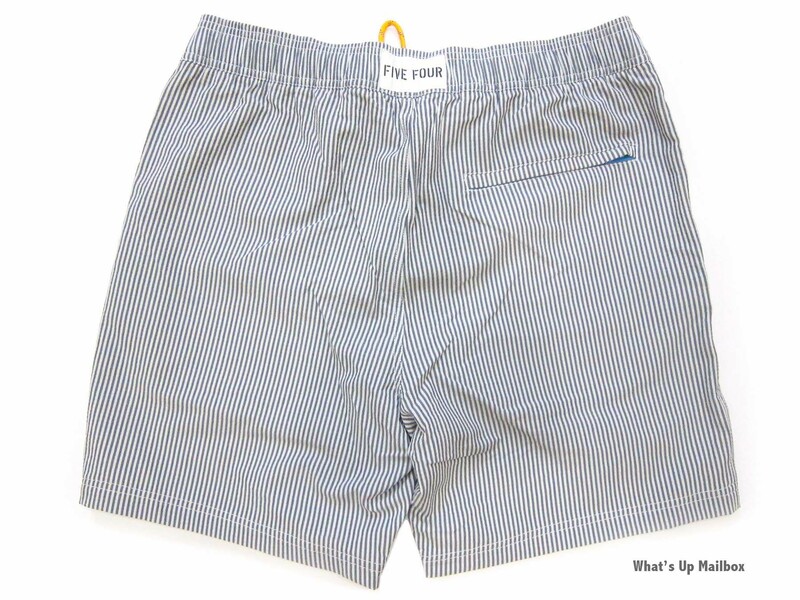 These trunks will also go well with both the gray or white shirt that was included in the package, how cool is that! The inside is lined which is just how my husband likes his trunks to be. My husband can’t wait to try these out in the pool soon! The design is perfect for those pool days or beach days. 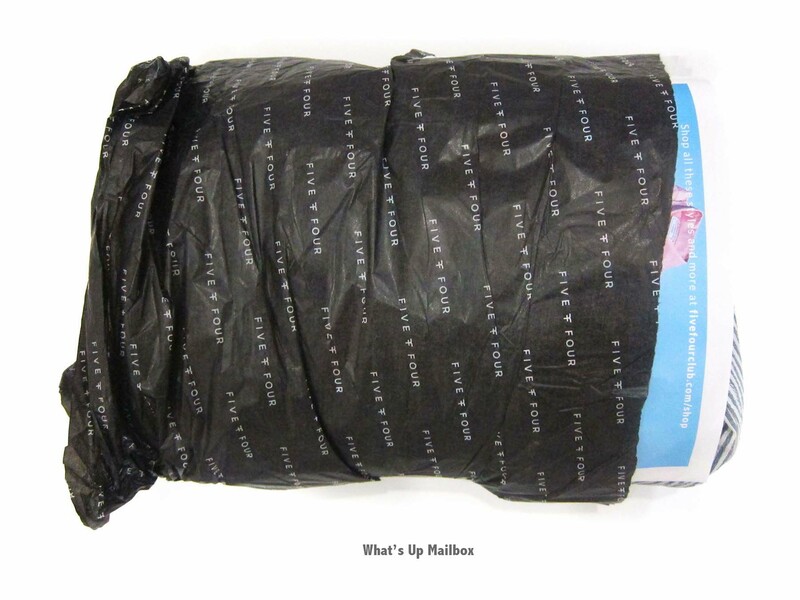 The color is also light as well as the fabric which is appropriate for the hot summer weather of California. 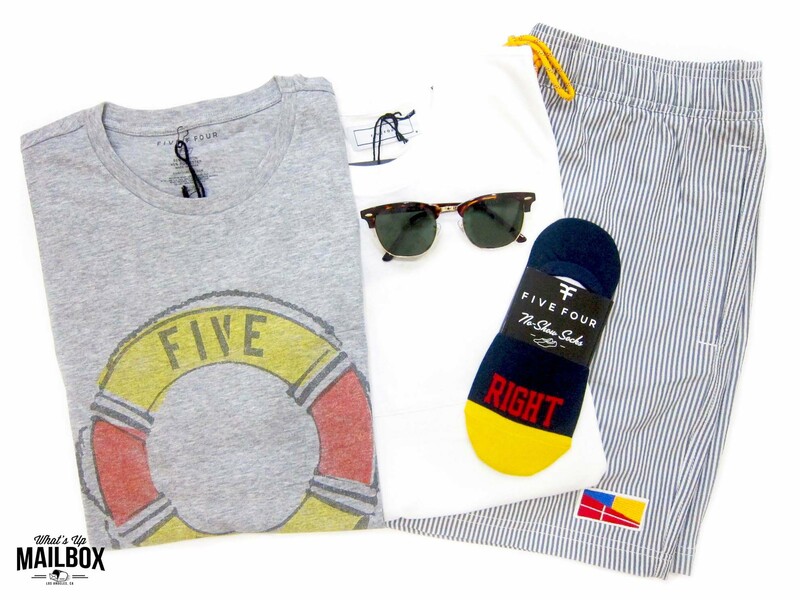 Great combo and it will surely be his next outfit for when we head out to the beach next weekend! 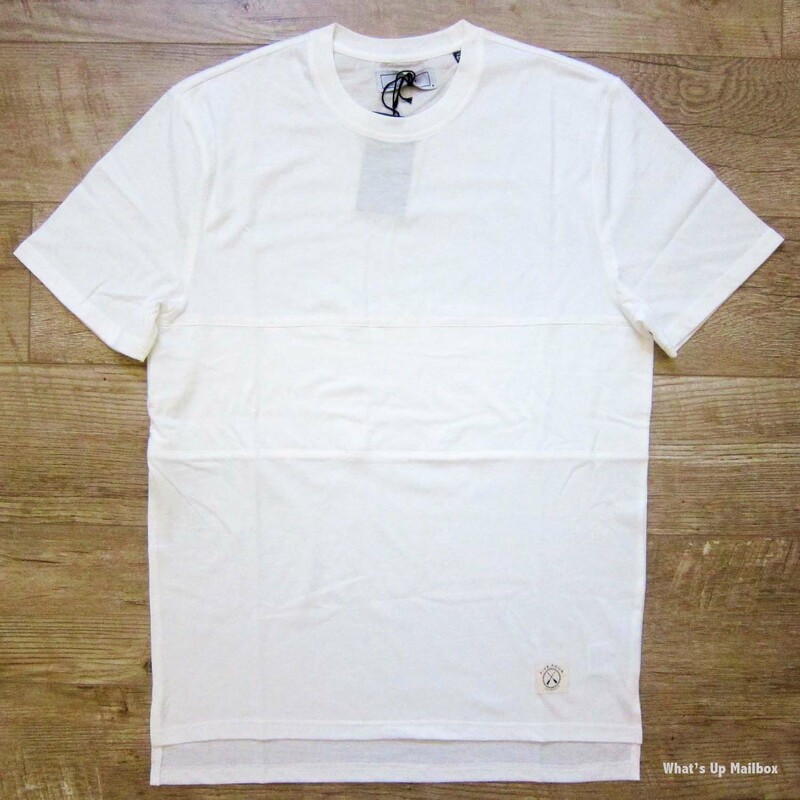 Another cool and light shirt that’s great for summer! It’s kind of hard to see from the pic above (you can see better in the picture below), but there’s actually a band in the middle section of this shirt that gives a different dimension and adds a bit of style to this classic white shirt. I like this combination too, perhaps even more than the other one. My husband said that it feels lightweight, breathable and comfortable too. A definite win! Yay for socks! My husband can never have enough socks and since it’s summer, these no-show socks will be great to wear with his loafers. How cool are these! 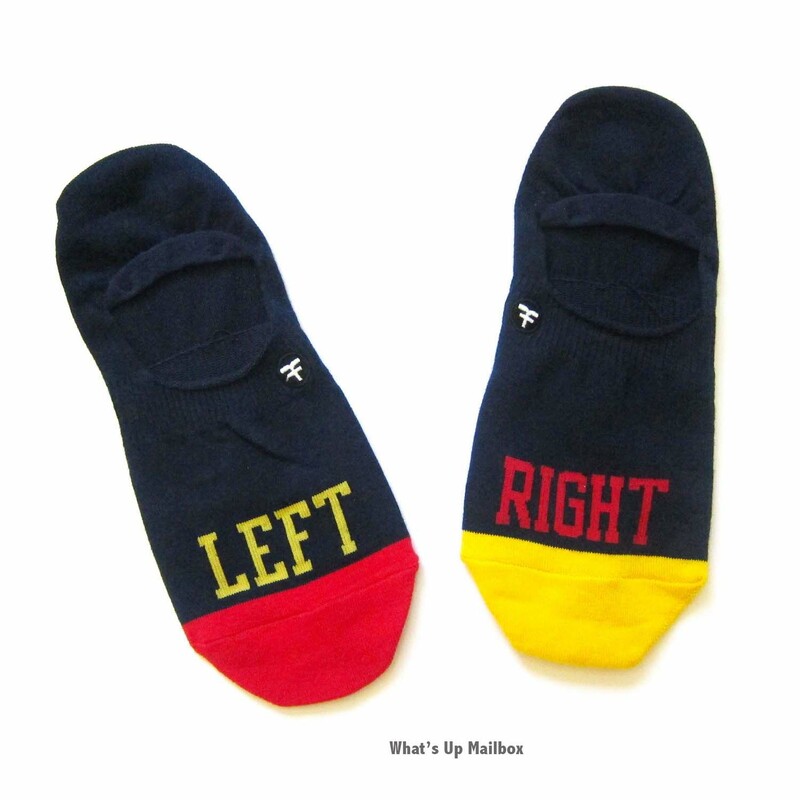 Totally love the fun “left” and “right” labels as well as the bright colors. So I actually re-subscribed after being on hiatus for sometime, especially since they sent me an email about getting a free pair of sunglasses if I come back, so that totally made my decision to resubscribe easier plus it became a sweeter deal. These sunglasses are valued at $75! My husband doesn’t have these style of sunglasses yet so they’re certainly a great addition! Plus I love the fact that they included a case for them as well as the cleaning cloth too! You too can get one if you’re a new subscriber by subscribing here and using coupon code CLUBMASTERS. 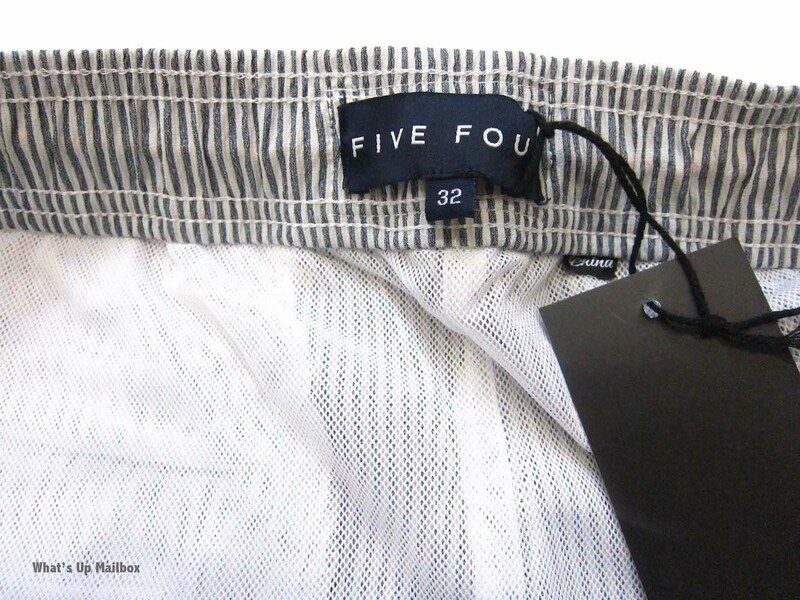 The inside has the Five Four branding. It’s designed in LA but made in China. 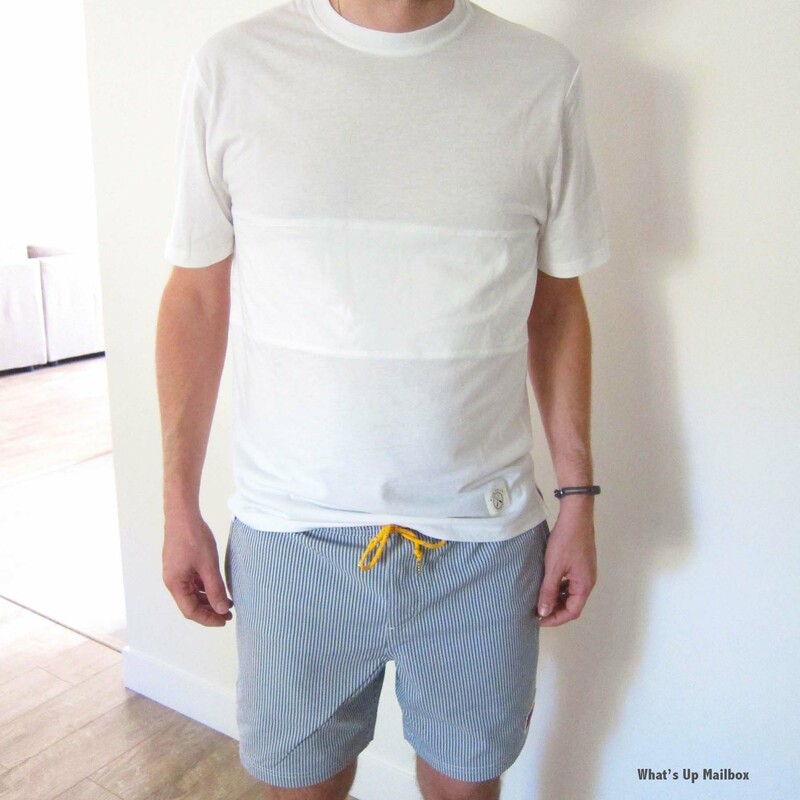 My Thoughts: Five Four Club totally nailed the style for my husband this month! All the items were both weather appropriate as well as seasonally in style. I also like the fact that they have swimming trunks for the summer, and that I actually received one. With all the items I received this month, it was totally worth the cost if not more. So happy I resubscribed and can’t wait to see what they’ll send next month! 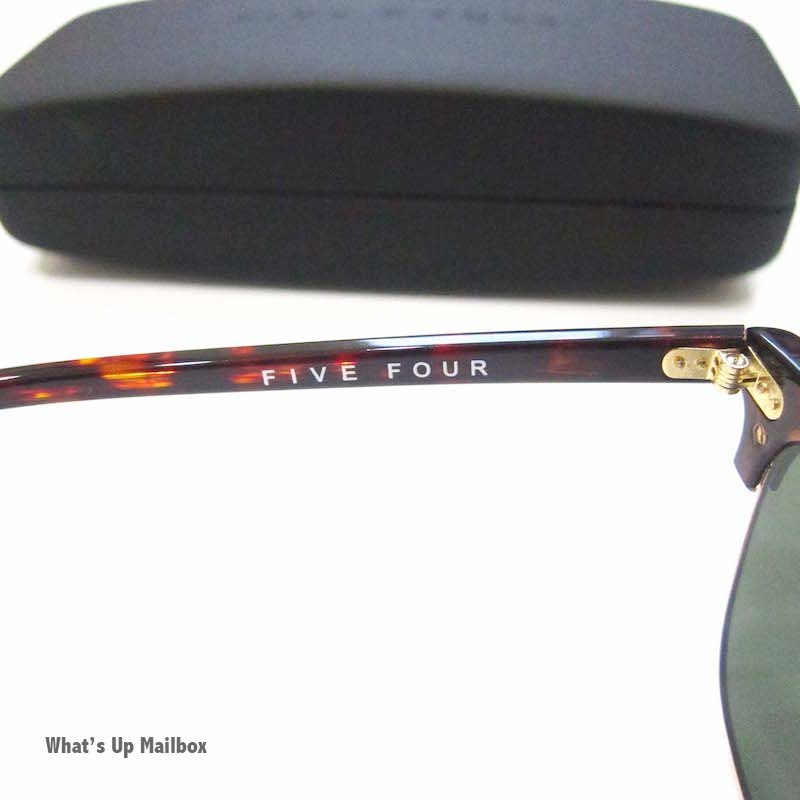 If you haven’t subscribed yet, you can get $15 off your first package through this link, OR use coupon code CLUBMASTERS to get a pair of limited Five Four Clubmaster sunglasses, cleaning cloth, and hard case ($75 value) FREE in your first package!